Alex provides employment counseling, advice and litigation services to clients across a broad span of industries. He frequently appears before the state and federal courts in North Carolina, and has handled or appeared in cases in Georgia and South Carolina as well as California, Connecticut, Delaware, Kentucky, Maryland and New York. "Even though I've watched webinars and read white papers on the topics addressed, it's not until Alex and Patti [Ramseur] shared their insights that I feel a confidence in my understanding of the key issues." In his role as a counselor, Alex helps clients make management decisions with company-wide impact, and resolve complaints and issues affecting individual employees. He regularly advises clients on how to comply with regulations, implement effective internal policies and procedures, address internal and external complaints, manage contentious personnel issues, and minimize litigation risks associated with difficult personnel decisions. Clients also engage Alex to draft and litigate nondisclosure, noncompetition and nonsolicitation agreements, as those contractual arrangements become a key business tool for minimizing loss when employees depart. In addition, Alex has experience representing clients with unionized workforces, having handled grievances alleging the breach of collective bargaining agreements, arbitrated disputes over union representation, defended and prosecuted charges before the National Labor Relations Board, been involved in strike negotiations and assisted in Union avoidance campaigns. Alex is active in a number of civic and community activities. He served a two-year term as Chair of the Board of Communities in Schools of Greater Greensboro, worked on the Board of The Barnabas Network, serves on the Board of Goodwill Industries of Central Carolina, and counsels numerous non-profit organizations. 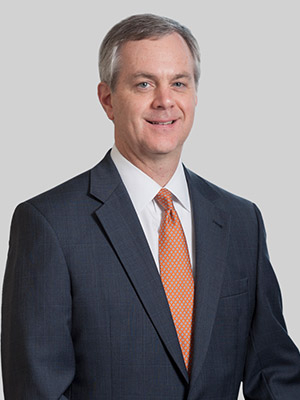 In addition, Alex has served on numerous committees of the North Carolina Bar Association, including as a member of the Labor and Employment Section Council.